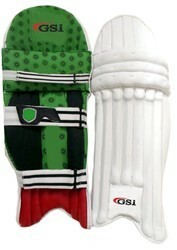 Its the efforts of our team members that we have been able to offer Cricket Protective Gear. The range offered by us includes Inner Gloves Palm Padded, Inner Gloves Short Cuff, Thigh Guard Pro and Elbow Guard Pro, to name a few. Moreover, these gears are manufactured under the able guidance of our expert professionals, who hold vast experience in this domain. Moreover, owing to their durability, softness and easy maintenance, these gears are widely demanded by the clients. We are dealing in the bulk quantity. 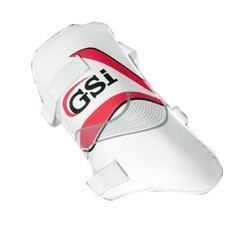 Our organization has gained immense appreciation for offering superior quality Pro Thigh Guard. The products offered by us are manufactured using high-grade fabric, which is procured from the authentic and reliable vendors of the market. Owing to their perfect fit and lightweight, these guards are widely demanded by the clients. Made from premium quality low density foam and PVC front. Application used for advanced machines. 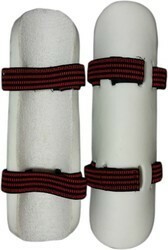 We are a renowned firms engaged in manufacturing and exporting Pro Elbow Guard. These guards are manufactured using optimum quality raw material and advanced machines to remain in tandem with international standards and norms. For extra protection, these guards are provided with dual foam layer.